Beautiful, sunny, open-plan condo, perfect for entertaining! Flooded with natural light, with floor-to-ceiling windows on 3 sides, large chefâs island in the open kitchen, and two spacious bedrooms on either side of the sunny living space. Master features large walk-in closet and a deep soaking tub. Second bedroomâs walk-in closet and additional in-unit closets allow for plenty of storage. Two charming, private patios invite indoor-outdoor living. 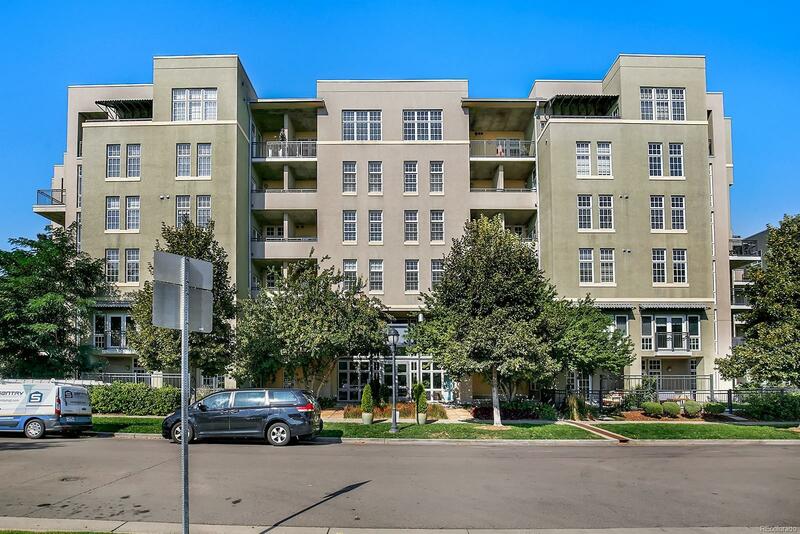 Walkable to Cherry Creek shops and restaurants. Secure building, fitness facility, bicycle storage, new granite countertops, new stainless appliances, new carpet, newly refinished hardwood floors, newer front-loading washer and dryer. Heated garage with two dedicated spaces makes getting out the door on cold winter mornings a breeze. HOA includes internet, water, heat, and cooling. Stylish and modern, with cast-concrete ceilings and concrete walls that keep the unit quiet and private. Furniture available. Wake up at home in Cherry Creek!